Full Description: A 90 x 113mm plate photograph of a German young man playing a small Chemnitzer-style Bandoneon, with his music-stand - and spittoon! - close by. 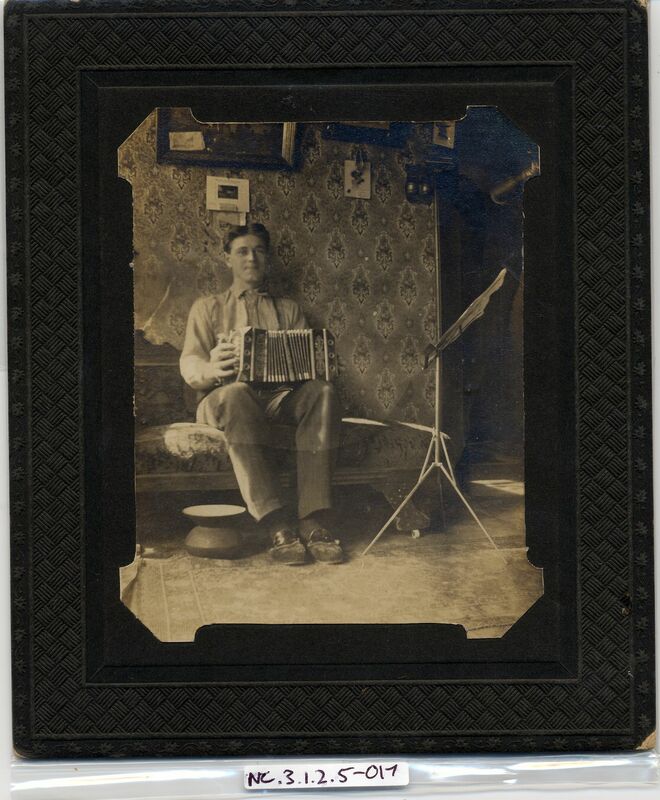 The photo is mounted on a well-embossed card mount.� There are several similar instruments in the Bandoneon & Chemnitzer section of the Collection, from Item C-410 onwards.